It's interesting how a single role can change a person's mind about an actor. Fairly or not, we judge actors based on the characters they play, as if the personality traits of the character mirror the traits of the actor. If you don't think this applies to you, ask yourself this: have you ever been able to watch David Schwimmer in anything that's not Friends without thinking of him as an awkward dork? 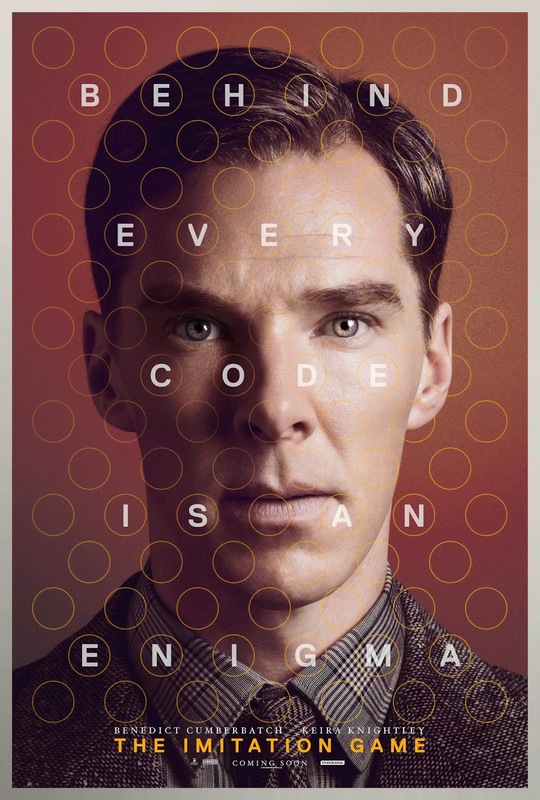 This movie was a turning point for me on Benedict Cumberbatch. I've made no secret of my dislike of him. 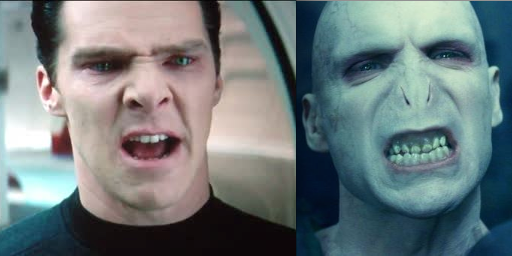 Mostly because he reminds me of Voldemort. But somehow, this character made me break through his exterior and appreciate him for being a good actor. The fact that he's British and he voiced over much of the movie certainly didn't hurt. Somehow here, his voice had that confident, reassuring and pleasing quality that was missing when he voiced the wolf in The Penguins of Madagascar. Maybe he's just not meant to be a cartoon character. But while I appreciated the smooth, clear voice explaining things like an omniscient narrator, it was an awkward and unlikely choice to have him telling state secrets to an anonymous police officer. Maybe by that point, his character didn't care anymore and just wanted to tell someone? I'm really grasping as straws as to why the writers chose that framing device for the plot. The rest of the cast left me less conflicted. Keira Knightly, of course, I have an unbridled love for and it is always great to see her in a period piece not set in the 19th century. Matthew Goode. Sigh. I need to update my Top 5 list. Again. Even Allen Leech managed to change my opinion of him after despising him as Branson on Downton Abbey (which is completely rational, of course). 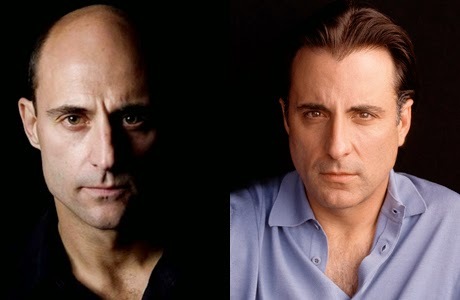 And though I spent the whole movie trying to figure out why Mark Strong looks so much like a mean Andy Garcia, it was refreshing to watch a movie that had full cast of famous people without it being a real distraction. It seems like I just can't escape WWII. In addition to watching two recent movies set in the time period, I also just read All The Light We Cannot See by Anthony Doerr which was, by the way, phenomenal. Reading that at the same time as watching this movie gave me some serious pause for reflection on the state of our history curriculum. I find it funny that we're consistently taught in the US that of course, we were the ones who "won" the war for the Allies, while of course, the British put out a movie about how they won it due to their intelligence. Do you think the French just don't care enough to stake some claim in this? And why doesn't anyone ever acknowledge that the Australians were there? Ok, I'm off topic. But this movie was so fascinating in that it put some serious historical truth that made the viewers delve deeper into the ethical implications of how to fight a war while still keeping the plot entertaining. Maybe it's a British thing, but they seem to have a knack for making a potentially yawn-inducing subject--code breaking--interesting (See: The King's Speech). Though I will say this movie definitely focused on the "behind the scenes" and really only kept referencing the war with shouted lines like, "We're at war! People are dying!" You know, in case we forgot the purpose of all the code breaking. However, the movie was beautifully layered in that it is, if only sparingly, a war movie. But it is also a bit of a spy movie, a biopic, and a thriller. It does a brilliant job of inserting a few light-hearted moments to lift what is overall, a very sad movie. And by sad, I mean utterly depressing if you spend more than a couple minutes really thinking about it. The war, the tactics, the decisions, and Turing's life. All of it. P.S. 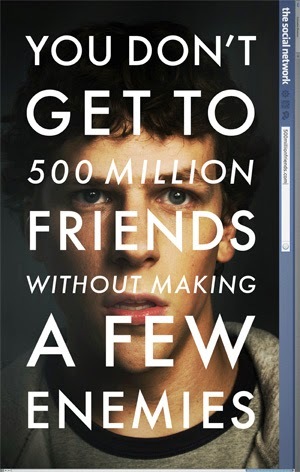 Did this movie poster remind anyone else of the poster for The Social Network?